This is a portrait of director Sergei M. Eisenstein (1898 – 1948 ) by Agustin Jimenez (1901-1974). The director is holding up a sugar skull. 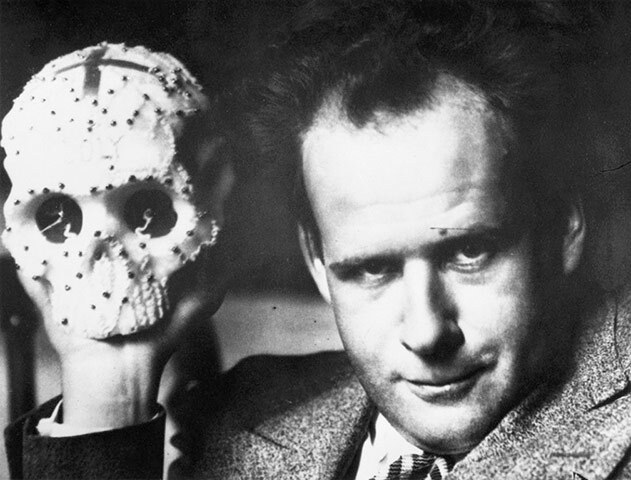 It was taken while Eisenstein was filming his unfinished masterpiece Que Viva México, which would have outlined Mexican culture and politics from pre-conquest civilisation to the Mexican revolution. NB- For a portrait of a young Andrei Tarkovsky, click here. Next Next post: James Fox: 3 portraits. 2 photographers.